Many organisations, banks, utilities, telecoms and governments are now increasingly going online or making charges if their customers wish to receive paper-based communication. But switching to digital is not always welcome. Two Sides understand the value and convenience of the digital revolution but believe that citizens must continue to have a right to receive paper-based communications, particularly bills and statements, without penalties, supplementary charges or difficulty. 87% of consumers agree that the main reasons companies want to shift to electronic delivery is to save money – not to be environmentally responsible. Independent findings from UK Opinium Research reveal that often the most vulnerable members of society are those most dependent on traditional, postal, transactional mail. The move to an online-only society risks leaving older people, the disabled, rural dwellers and those on low incomes disconnected. The access to basic banking services and traditional means of payment, such as cash payments or paper-based transactions, must become a universal right. It is important for policy makers to acknowledge that information on paper is preferred by many consumers and often receives more attention. Consumers wish to retain the flexibility of postal and electronic communications. In reality, we live in an increasingly digital world where electronic and paper-based communications coexist and are often complementary. Communication strategies must not only be cost effective but also recognise citizen choice. 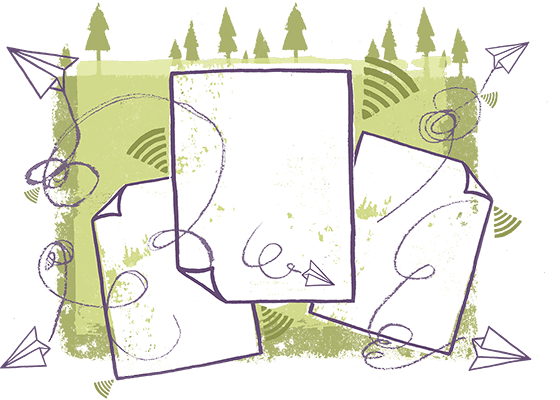 There are many tangible benefits that paper-based documentation can bring and its preference as a means of communication by many consumers must be at the forefront of any digital planning.